It sure does looks beautiful. 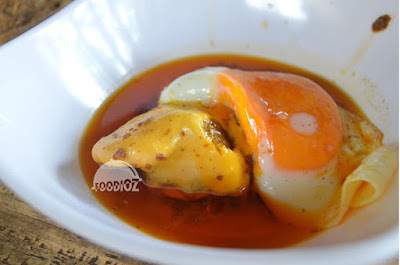 Rendang is covered up by the stunning cheese and topped with sunny side egg. I found out this is new cuisine we may found in town and i think it is brilliant idea. 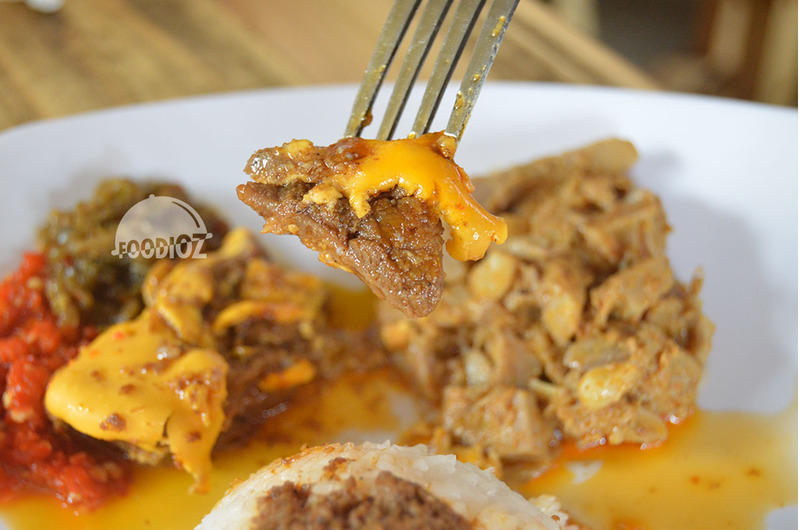 Rendang bit salty, but when it along with the white rice, i guaranteed it is awesome. The perfect texture of meat is satisfying and strong taste of cheese is played up here. Really matched well done with the beef, also there's a bunch of sauteed jackfruit is good as well. 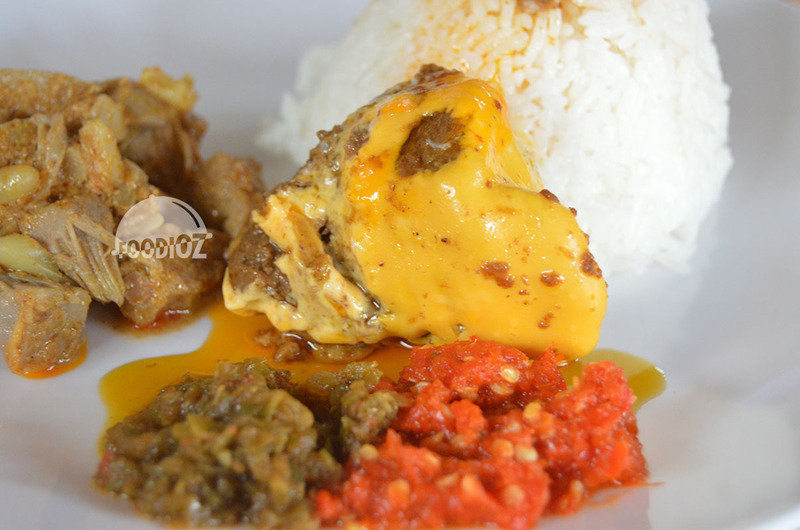 Another dish i have here is the Ayam Gulai. It is a stewed chicken in special thick sauce with many spices and seasoning. It is a thick brown color and i think this one is good too. Perfect seasoning and chicken cooked well done. I must say it is similar with authentic Padang, but somehow it just modern and different style. Other than the small place, the rest of all i think it is great. 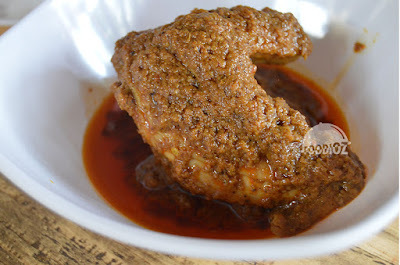 Good food with perfect family recipe, i am sure you would never found this somewhere else.